… when you stop execution, all cores are halted, the guest doesn’t even know that time has stopped, and you can happily single-step interrupt handlers, exceptions, etc. It’s easier to break into the debugger - you can use the normal ^C method from the GDB session, rather than having to either insert int 3’s into your code or insert breakpoints on predictable function calls like kext_alloc() when you attach the debugger at boot time. It’s faster - KDP works over UDP and seems to have a few timing issues where it drops packets or the target kernel doesn’t respond in time (particularly in the more complex kgmacros commands), whereas the VMware debug stub seems to be substantially faster and (so far) more reliable. You can debug anything from the time the VM is powered on - this means that you can debug non-DEBUG XNU kernels, along with EFI stuff, the bootloader (boot.efi), whatever you want. 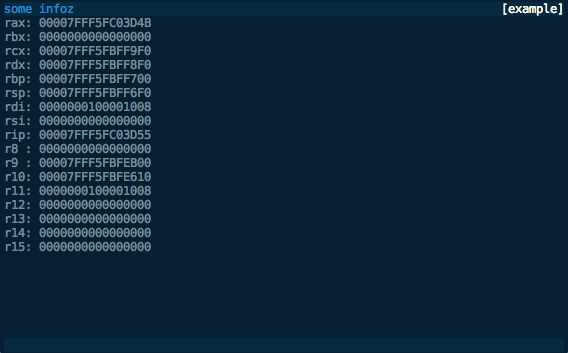 Using this method you can connect to the debug stub from an instance of the FSF version of GDB on a Linux box. That’s it, start up the VM. If you’re using a VM with a DEBUG kernel and you’ve set the boot-args variable in NVRAM to contain debug=0x1, as per the previous article, you will need to attach another instance of GDB via KDP at this point and continue in that instance to let the boot process finish. tweak_crypt_group() - heh. My VM is encrypting its disk at the moment. Edit 13 July 2013: I’ve made a couple of updates to this post to clarify a couple of things and resolve issues people have had. fG! did a great write up here on how to set up two-machine debugging with VMware on Leopard a couple of years ago, but as a few things have changed since then and I will probably refer to this topic in future posts I thought it was worth revisiting. Debugging kernel extensions can be a bit of a pain. printf()-debugging is the worst, and being in kernel-land, it might not be immediately obvious how to go about debugging your (or other people’s) code. Apple has long provided methods for kernel debugging via the Kernel Debugger Protocol (KDP), along with ddb, the in-kernel serial debugger. 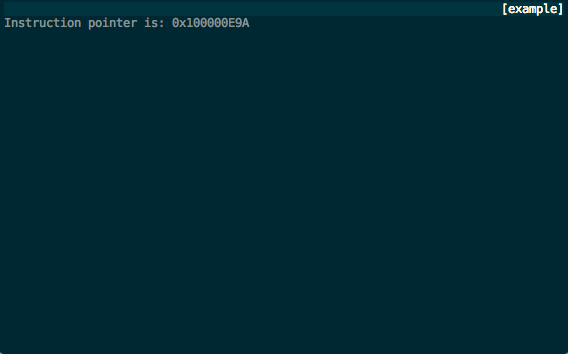 KDP is implemented in-kernel by an instance of IOKernelDebugger, and allows you to connect to the debug stub from an instance of gdb (Apple’s outdated fork only AFAIK) running on another machine connected via FireWire or Ethernet. ddb can be used to debug the running kernel from the target machine itself, but is pretty low-level and arcane. Apple suggests in the Kernel Programming Guide that you are better off using gdb for most tasks, so that’s what we’ll do. We don’t really want to use two physical machines for debugging, because who the hell uses physical boxes these days when VMs will do the job? With the release of Mac OS X 10.7 (Lion), Apple changed the EULA to allow running virtualised instances of Lion on top of an instance running on bare metal. Prior to this, only the “server” version of Mac OS X was allowed to be virtualised, and VMware ‘prevented’ the client version from being installed through some hardcoded logic in vmware-vmx (which some sneaky hackers patched). VMware Fusion 4 introduced the ability to install Mac OS X 10.7 into a VM without any dodgy hacks, just by choosing the Install Mac OS X Lion.app bundle as the installation disc. So, the first step of the process is: install yourself a Mac OS X VM as per the VMware documentation. Edit 13 July 2013: Once you’re done it’s probably a good idea to take a snapshot of your VM in case there are problems installing the debug kernel. Generally it’s not a problem, but it’s annoying to roll back and much easier to use a VMware snapshot. Hopefully your VM has successfully booted with the debug kernel and no magic blue smoke has been let out. Edit 13 July 2013: If your VM has panicked at boot time make sure you’ve allocated at least 4GB of RAM to the VM or it will not boot on newer OS X versions. Now we’ll do a bit of config on the debug host, then reboot the VM. Traditionally, two-machine debugging would either use FireWire or Ethernet. We can simulate Ethernet with the VMware network bridging. Edit 13 July 2013: With newer versions of OS X (I’m not sure exactly when they introduced this but it definitely works on 10.8.4) you don’t actually need to do this static ARP trick any more. When the VM boots it will stop at “Waiting for remote debugger connection” after telling you its MAC and IP address. You should be able to skip the static ARP and just kdp-reattach (as below) directly to the IP address displayed here. I also have an /etc/hosts entry for the VM, hence the hostname macvm. Now we should be able to reboot the VM and it will pause waiting for the debugger connection at the start of the boot process. It used to actually say Waiting for debugger connection… or something similar in previous kernel versions, but it seems to pause after [PCI configuration begin] on 10.7. This is contrary to the instructions in the readme file for the Kernel Debug Kit, which tells you to target /Volumes/KernelDebugKit/mach_kernel with gdb. 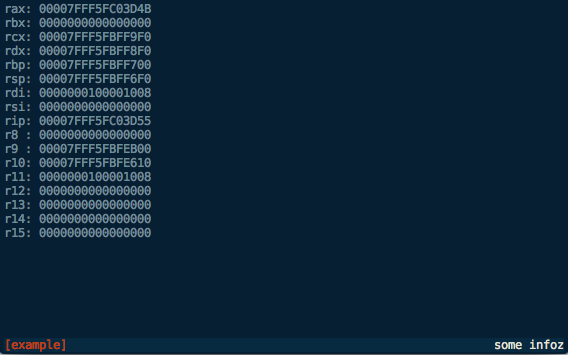 I haven’t been able to get this kernel to work correctly - symbols are not looked up properly and lots of addresses seem to be wrong, resulting in the kgmacros stuff not working, and breakpoints being set at the wrong addresses. If you load the kernel in the DEBUG_Kernel directory it works OK. The –arch=i386 option allows you to use a system running the 64-bit kernel to connect to a target running the 32-bit kernel. The –arch=x86_64 option allows you to go the other direction. Edit 13 July 2013: If you’re using a recent OS X you can kdp-reattach to the IP address that was printed when the debug kernel paused waiting for the debugger. At this point the disk icon in VMware should be going blue with activity, and the VM should continue booting as normal. Unfortunately, we can’t use the normal method of hitting ^C in the debugger to pause execution, so we have to rely on software breakpoints. The method fG! initially suggested was to break on tcp_connect() or something similar, so you can drop into the debugger by attempting to telnet somewhere. This proves to be a bit cumbersome in Lion with all the fancy (scary) network autodetect stuff - connections going out from agents all over the place means constantly dropping into the debugger. The method that I have primarily used is to set a breakpoint on the kext_alloc() function. This is called once during the initialisation of a kernel extension, so it can be a reasonably useful point at which to break if you want to debug the initialisation of the kext, and a good on-demand breakpoint for general kernel memory inspection. Edit 13 July 2013: @chicagoben pointed me at a simple method of replicating the behaviour of an NMI and dropping into the debugger using the technique in this handy kernel module. This is the “magic number” indicating a 64-bit Mach-O executable. The 32-bit version is 0xfeedface. Interestingly, that comment appears to be incorrect - 0xffffff8000200000 is where the kernel image itself starts and the stuff in lowmem_vectors.s starts at 0xffffff8000002000 as we’ve seen. There’s heaps of cool and useful stuff there to look at. Have a poke around and see what you can find. 107	kext_alloc.c: No such file or directory. Go grab yourself a copy of the source for your kernel version at opensource.apple.com and give it a try.